NEW DELHI -- Prime Minister Justin Trudeau flatly denied Friday ever raising the spectre of Quebec separatism in a meeting with state leaders in India, and promised a "conversation" with the Liberal MP who has claimed responsibility for inviting a failed assassin to a pair of high-level receptions. That said, his ongoing trip to India has been and continues to be "excellent," Trudeau insisted as he did his level best to tamp down persistent talk of an exercise in international relations that has gone utterly off the rails. His first question, in French, was about media reports based on a summary from the Punjab government of a meeting Wednesday with Chief Minister Captain Amarinder Singh. It said Trudeau cited "the separatist movement in Quebec" in saying "he had dealt with such threats all his life and was fully aware of the dangers of violence, which he had always pushed back with all his might." "The reports are false; I said nothing of the sort," Trudeau told the news conference. "On the contrary, I have always said I'm very proud of the lessons Canada and Quebec have to share on differences of opinion shared in peaceful ways and pluralism and diversity that is positive for our community." From there, the questions turned to the saga of Jaspal Atwal, the convicted failed assassin who was invited to a pair of receptions with the prime minister and was even photographed with Sophie Gregoire Trudeau -- a fiasco for which Liberal backbencher Randeep Sarai has accepted full responsibility. "The situation was unacceptable; this individual never should have been invited," he said. "The MP responsible has taken responsibility, and I will be having a conversation with that MP in Canada next week." Atwal was convicted in the 1980s of attempting to kill an Indian cabinet minister who was travelling in Canada. Earlier Friday, in a telephone briefing arranged by the Prime Minister's Office, a government official suggested that Atwal's presence was linked to factions within the Indian government who refuse to believe there is no risk posed to a united India by Sikh separatists living abroad. The official, who spoke on condition of anonymity in accordance with what has become standard practice for such briefings, says those factions are trying to prevent Prime Minister Narendra Modi's government from getting too cosy with foreign governments they believe want to undermine a united India. Despite all of that, however, Trudeau was sticking to his message-track guns. "This has been an excellent trip that has been an opportunity to deepen people-to-people ties, highlight the deep friendship on political, cultural and business levels between India and Canada," he said in response to a pointed question about Atwal. "This is something that we're continuing to work on, obviously the business announcements we made of $1 billion in back-and-forth investments, of close to 6,000 jobs created in Canada has been the focus of this week for us." Conservative Leader Andrew Scheer issued a statement seizing on the turmoil and painting the Liberals as lightweights on serious matters of international trade. "Instead of working with his Indian counterparts to secure vital market access for our Canadian farmers, manufacturers and small businesses, the prime minister prioritized photo-ops and used taxpayer dollars to fly a celebrity chef halfway around the world to serve his Liberal friends." During Friday's telephone briefing, the official said Atwal has, since his conviction, been on a list of people banned by India from getting a visa to visit the country because of their ties to Sikh separatist and extremist groups but that he was suddenly removed from that blacklist last summer -- long before Trudeau's trip was planned. Canada played no part in getting Atwal off the blacklist or getting him a visa to visit India, said the official. Nor was he ever part of the official delegation. 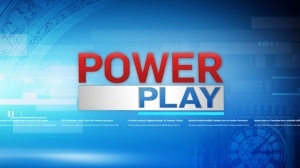 The official said it was "very interesting" to Canada that, after days of Trudeau and other cabinet ministers insisting the Canadian government supports a united India, this issue suddenly blew up. Many incorrect facts were fed to various media outlets to push the story, the official said. The tip to some media that the RCMP in Surrey, B.C., knew about Atwal's invitation before the trip started and warned the Prime Minister's Office is completely false, he said. The first anyone in the Canadian government heard about it was from intelligence sources the morning after the Mumbai reception, he added. There still remain many questions that the government hasn't answered, including how Sarai was involved and how it came to be that Sarai asked for Atwal to be added to the guest list at both events. The official said Canada is not suggesting Atwal's presence was engineered by the official Indian government, but by certain people within it. 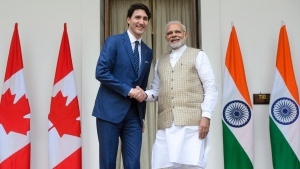 All of it came amid a backdrop of meetings in New Delhi between Trudeau and Modi, who finalized a framework agreement to work against terrorism and extremist elements. Modi said both countries are at risk from those who would use religion to divide people. "We spoke as we often do -- as we, actually, always do in each of our meetings -- about the continued way that Canada and India collaborate on a broad range of issues, including security issues," Trudeau said. "We repeated our determination to work together around the shared values of pluralism and respect, while at the same time having zero tolerance for violent extremism or terrorism ... we actually didn't talk about Atwal." After India security blunder, who does background checks for PM events?